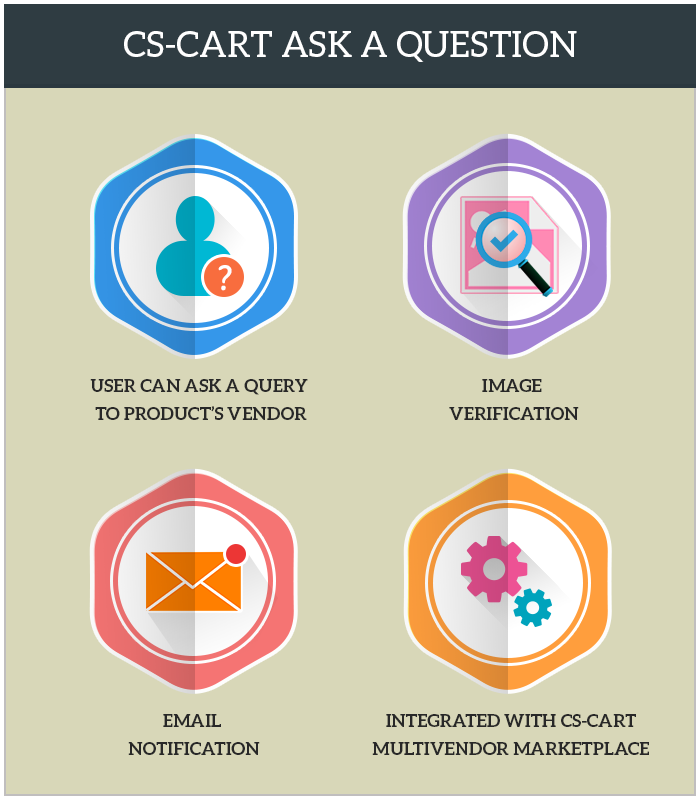 CS-Cart Ask A Question : When buyers have concern about the products, they are likely to either look for vendor details to contact for further description or look for another product.The trouble with online shopping is that many customers are disconnected from someone who can answer their questions in real time with precision. Rather than watching potential buyers click away from e-commerce sites and to limit the risk of losing prospective clients we have created “CS-Cart Ask a Question” where user can easily communicate with vendor by asking questions during run time. Did you buy CS-Cart Ask A Question?